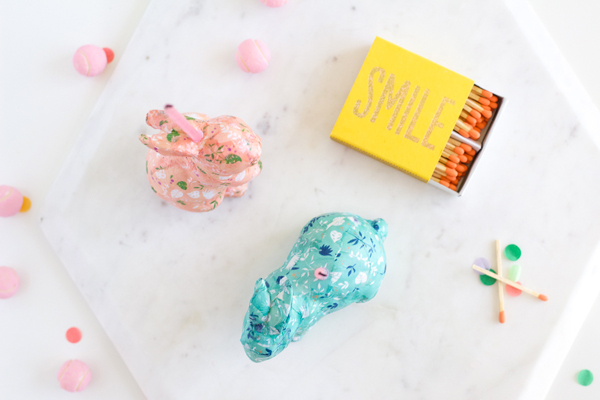 Creating candles out of cute animals is something I’ve adored ever since Jenny created the first batch. 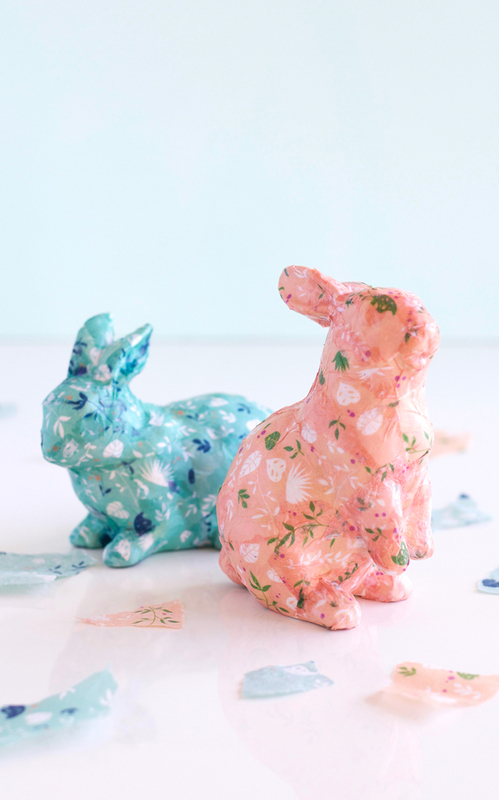 This updated version of the genius idea uses tissue paper to impart a pretty spring vibe to the party scene. 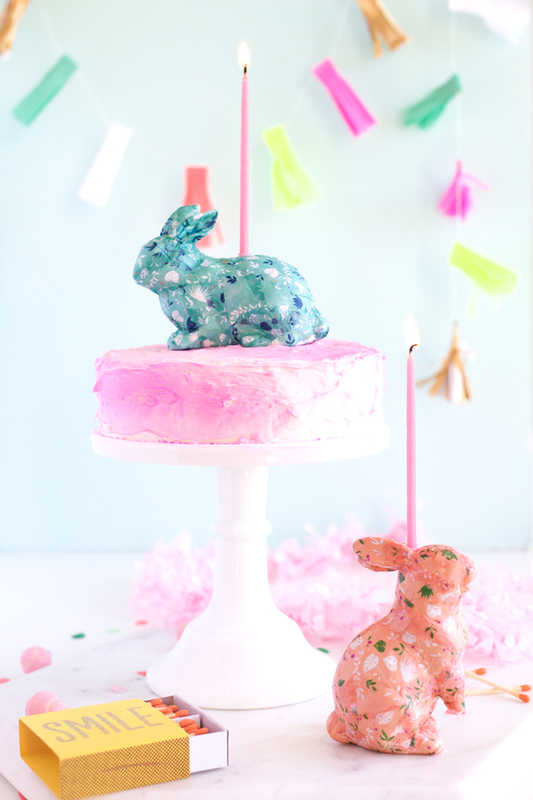 The animal candles are simple to create and they make any cake seem really special. 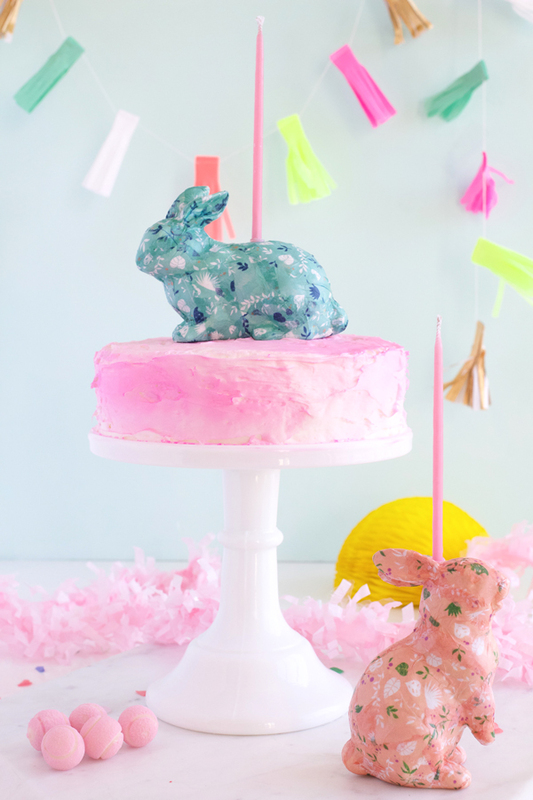 Although we used bunnies (which are perfect for kid parties and showers), the project can be created with dinosaurs, foxes, unicorns, or any type of animal fit for topping a birthday cake in style. 1. Tear the tissue paper into small pieces so it’s easier to work with on the curves of the animal. 2. 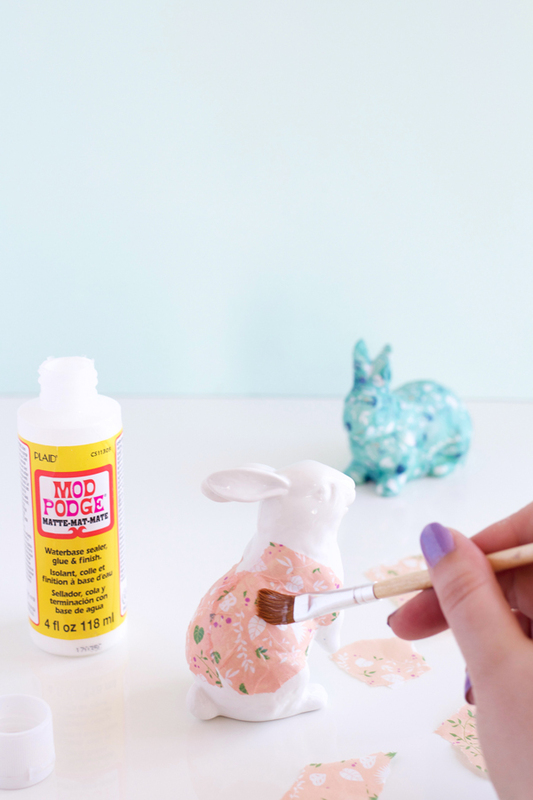 With a paintbrush, spread a layer of Mod Podge on a small section of the animal and apply tissue paper. 3. Spread on another layer over the tissue paper. Repeat Steps 2 and 3 until the animal is fully covered. 4. Spray the wrapped animal with food grade sealant. 5. Using a hot glue, attach the candle to the top of the animal. We thought these were too pretty to use solely for candles, so hot glueing the base allowed for the candles to be removed with ease and the glue will come right off. If you want to make the candles permanent drilling a small hole at the top will allow for the candle to rest inside. 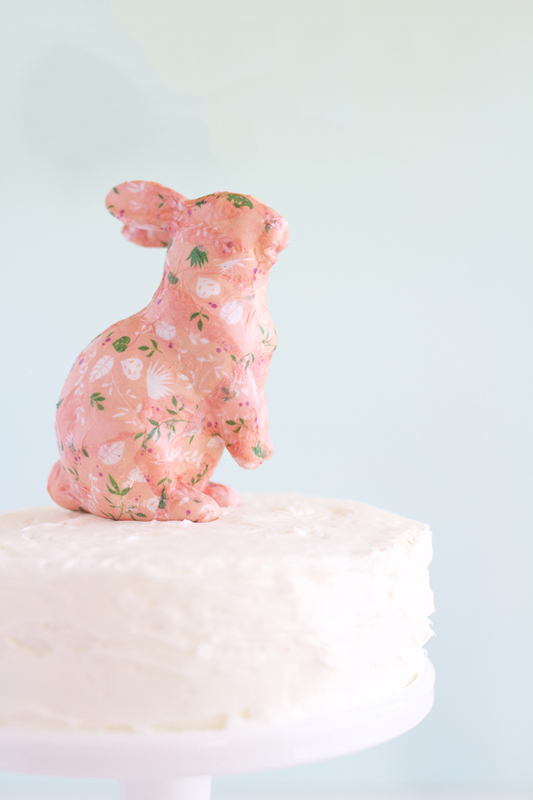 Top all the cakes with these pretty covered critters for the sweetest spring party scene. (Photography + styling ©A Subtle Revelry by Alyson Lott). This is more then pretty buddy. This one is looks like an art. Amazing work. Great art work. You are such a great artist. Thanks for sharing this. 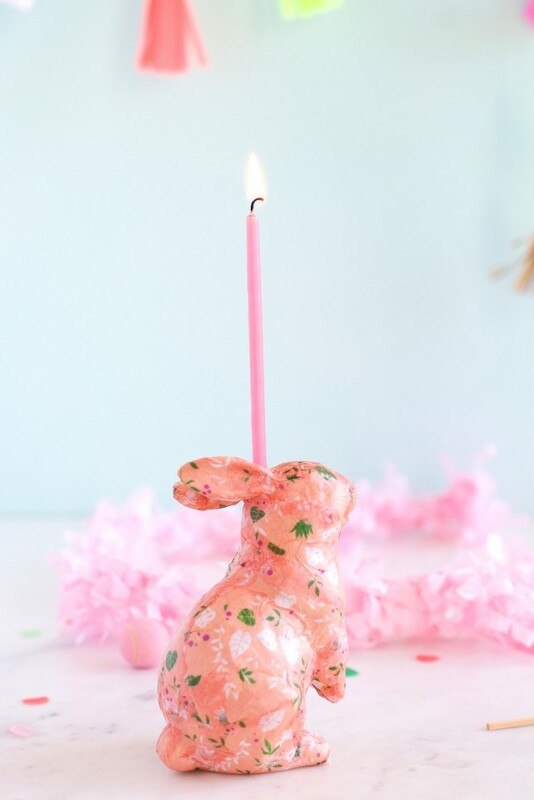 The animal candles are cute and beautiful to create. Its wonderful work.